Switching from “one size fits all” to a personalised approach based on free open source kitchen design software could dramatically slash the annual cost of adapting the homes of elderly patients on their discharge from hospital. 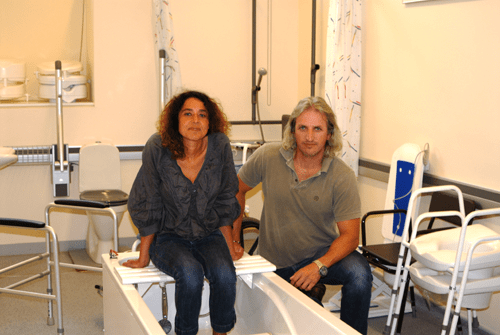 Research from occupational therapy and computer science academics from Brunel University London shows that more than half of the costly equipment from shower chairs to grab rails installed in their homes for such patients is ever actually used. The Brunel solution could also speed up the whole process of pre-discharge home visits by occupational therapists (OTs) relieving hospitals of “bed-blocking” elderly patients who are healthy enough to go home at a further cost of more than £500 a night. Explained Dr Arthur Money, who led the team: “Pre-discharge home visits are routinely carried out to make sure the transfer from hospital to home is safe for the patient. He added: “While some adaptations may fall into the not-needed-yet-but-will-be-category, many patients end up with equipment they don’t understand how to use or is useless because it is installed at the wrong height. OT lecturer Dr Anita Atwal says the software also helps bridge the information gap where elderly people are not quite sure what a piece of equipment is or does but are reluctant to show their ignorance to an expert. Fellow Brunel OT lecturer Lesley Wilson added: “It also became clear that while the hacked interior design software is a great tool for both patient and OT it needs to be used in a partnership approach. The team plans further developments to the software in the next phase of the research including the ability to introduce the patient into their adapted virtual home by building accu rate to real-life scale avatars. PreviousThe latest issue of The OT Magazine is out now!